First, a message for regulars: Your old favorites haven’t gone anywhere. Items like the Tex-Mex Queso and the massive Fried Chicken Sandwich with buttermilk cabbage and dill pickles are still on the menu, and they’re just as awesome as you remember. On the cocktail side, the Mr. Anderson (Wild Turkey 101 Rye, Ilegal Mezcal, Cynar 70 Cardamon Infused Italian Vermouth) has stuck around, and the former Death by Stereo has gotten a second wind in the form of Life by Stereo (Olmeca Altos Tequila, Ancho Verde Squeezed Grapefruit, Mixed Herb Cordial). Those are all the familiar faces you can expect. Everything else on the menu is new, offering both regulars and first-timers plenty of tasty reasons to visit. Among them is the 51st State, a nod to the whiskey and coconut water combo popularized in Puerto Rico. This smooth Old Forester Bourbon drink with local coconut water is perfect for summer; the roasted coconut rim is a nice touch. Another of our favorites was the Beets by Bro, an Ilegal Mezcal concoction with — you guessed it — fresh beet juice, pressed lime citrus bitters, sage and pickled beets. Not only is it flavorful AF, but you feel like you’re getting your vegetables in, so you don’t feel too bad about not going to the gym later. Our final cocktail — the Club Paradise (Ron Zacapa 23, Don Q Rum, Back Room Horchata, Grated Nutmeg & Tropical Flowers) — made quite the first impression with its gorgeous presentation. The drink reminded us of alcoholic Cinnamon Toast Crunch, so our outer adult and inner child were in heaven the whole time. Food-wise, you’re going to fall head over heels for the new Anderson Smoked Wings. They certainly live up to their name with an addictive smokey flavor that goes great with the popcorn buffalo and bleu cheese sauces. And that skin … yum. The Short Rib Naan Tacos quickly won us over because they address one of our biggest pet peeves: crappy tortillas. The naan are bulky, so they’re more than capable of handling their contents without breaking apart. And they actually have flavor unlike others we’ve encountered. We’d definitely order them again. Let’s talk about the Griot and Tostones. Before visiting The Anderson, the dish would probably not be the first thing we’d get at a bar like this. But after one bite, that all changed. The juicy chunks of pork and beautifully seasoned tostones introduced us to flavors we’ve never had before. Now that we know how good it is, this plate is one of the first things we’d order on our next visit. 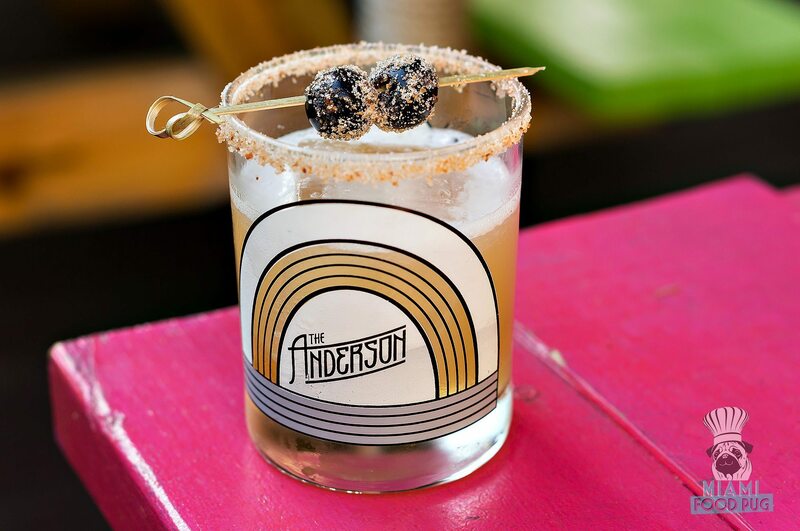 With this menu revamp, The Anderson continues to cement its reputation as one of the mainland’s top bars. We already loved the place, and this menu refresh has us falling in love all over again. Stop in and see what all the fuss is about — we’ll see you there. The Anderson is located at 709 NE 79th St. in Shorecrest. For hours of operation and other information, visit their official website or call 305-757-3368.